Welcome To The PIM Ordering Portal. E-mail* This field is required Contact email. FINANCIAL PRODUCT - Packaged Client Case File (CCF). * This field is required Click the appropriate CCF audit product. LOCATION - Packaged CCF Catchment Demographic. * This field is required Click the demographic catchment. Where possible such location order requests will be allocated. COST - CCF Graded Product Price Range. * This field is required Grades 1 to 4 are reflected within the final audit of each packaged CCF, providing a full outline and summary of the quantum of claim assesment for remediation and compensation. With order limits of 20 Min & 40 Max per month per account. Grade 5 have an adjusted Min order of 50 and Max order of 150/mth per account due to higher volumes. Grade 1 - £2800/packaged case. Estimated remediation between £30000 - £50000. Grade 2 - £1800/packaged case. Estimated remediation > £20000. Grade 3 - £1500/packaged case. Estimated remediation > £15000. Grade 4 - £1200/packaged case. Estimated remediation > £10000. Grade 5 - £550/packaged case. Estimated remediation between £5000 - £7000. VOLUME - Packaged CCF Numbers. * This field is required All batch numbers for processing are currently set at a minimum 20 and a maximum of 40 - Client Case Files (CCFs) per order per month per account. CASE MANAGEMENT - Bulk Audit Sorting. We can arrange to have your packaged CCF order compiled, listing the same lender group providers. This will imply that some or all of your CCF order may, when possible contain the same lender. 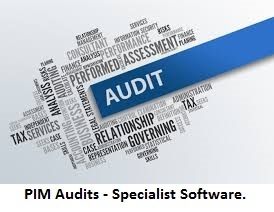 PIM Audits - Financial Products Services & Costs. PENSIONS - INVESTMENTS - MORTGAGES. All cases are fully audited and forensically report ready with accompanying mandates of authority and productions. All mortgage audit reports are CeMAP & CeRCH compliant. 1 - Fully packaged compliant client file. 2 - Property mortgage account profile. 3 - All financials & compliance documents. 4 - Client mandate/s of authority. 5 - Detailed liability report, with associated productions. 6 - Outline & summary of the full quantum of claim process. 7 - Option to underwrite - ATE cover or DBA agreement. Final distributed Client Case Files reports are offered in PDF format & Hard Copy. Both options adhere to GDPR compliance. Grades (1 to 4) CCFs have a Minimum order 20 CCFs/mth - Max order 40 CCFs/mth. Grade 5 CCFs have a Minimum order of 50 CCFs/mth - Max order of 150 CCFs/mth. A deposit of 50% is required on placement of your order (Plus VAT). The final balance must be paid within 3 days of delivery of the packaged CCFs fulfilment. Packaged CCFs can be distributed in bulk or spread over a pre-agreed period of days. Current lead time from order to distribution is 6 weeks. We operate a full refund policy on any orders that fail to convert to the prescribed product audit rating, or as a consequence of the client withdrawing from the service provision, within 14 days of receipt, such refunds are in the form of a full re-credit CCF replacement, like for like product - (Pension - Investment - Mortgage). All portal feeds are updated every 24 Hrs. We cannot accept double bookings of batch orders within the same month period beyond the maximum batch figure of 40 CCFs per corporate account holder unless otherwise agreed. You will receive a confirmation email detailing your order placement, distribution date and invoice. We are here to serve you, should you have any queries, please contact us by emailing pim@backofficeuk.com, quoting your account number and detailing your query. Regulated by the claims management regulator - Registration No CRM31376. Registration is recorded at - www.gov.uk/moj/cmr. ICO licensed under the Data Protection Act 1998 - Registered No Z3393244. Mortgage Audit UK is a member of InsurTech Services promoting positive technological change within the sector. Weber Wolf - Mortgage Audits. Glasgow - Edinburgh - Birmingham. Tel: 0141 628 8071. Tel: 0131 677 0332. Tel: 0121 318 9238. Should you require to leave any verbal instructions regarding your order please record your requirements below.